This big bevy of Blue Baubles are each 25mm in diameter. 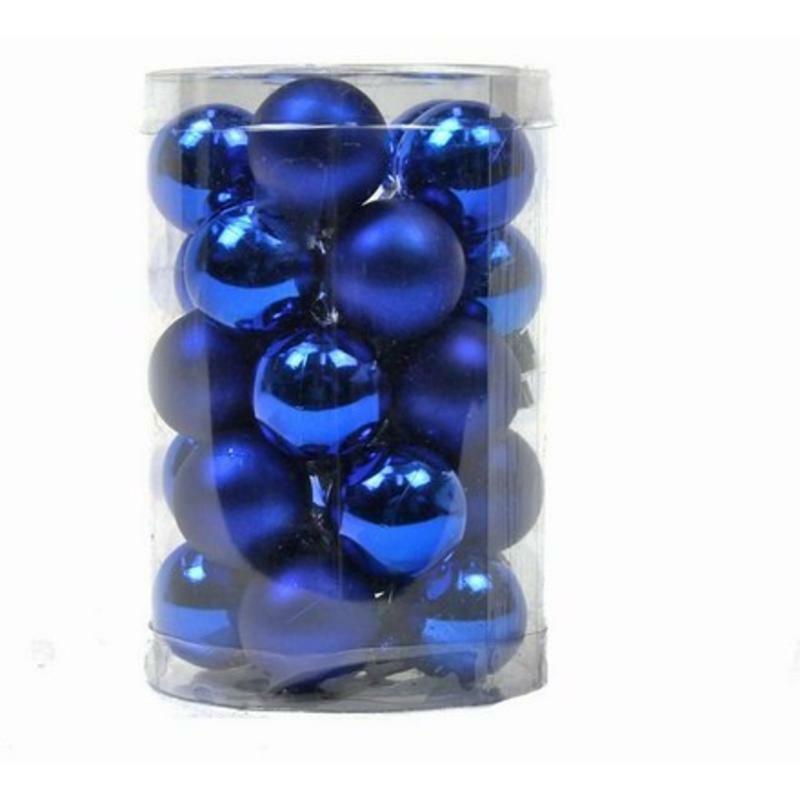 This is the perfect size to cover your Christmas tree and holiday wreath or swags with, and this huge plastic canister is full of these perfect blue ornaments! 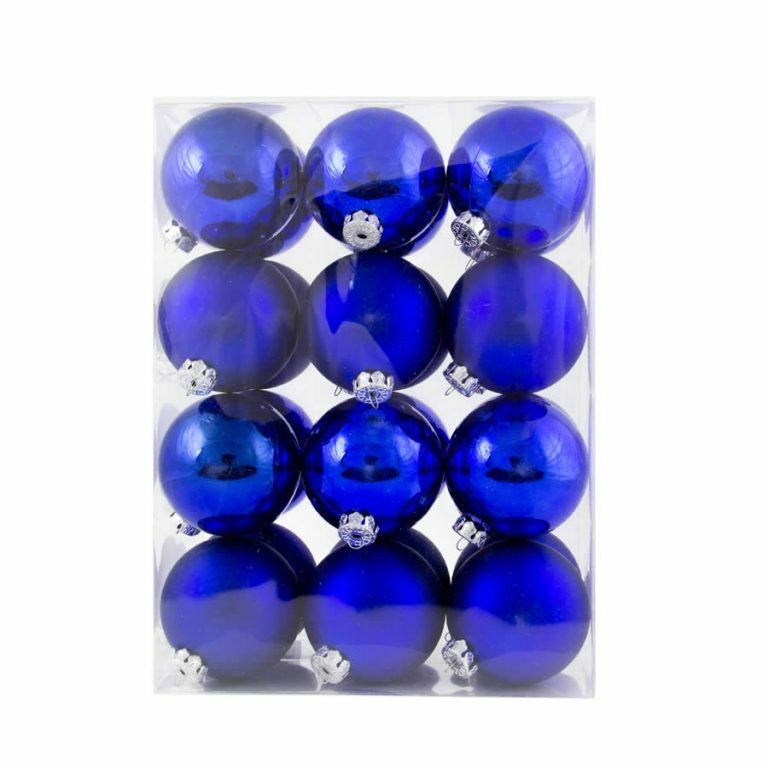 The canister is loaded to-the-brim with a mixture of shimmering matte-finished baubles and super-glossy chrome-finished baubles, all in a rich, jewel-tone of deep blue. These are shatterproof Christmas Decorations that won’t get broken if dropped or handled, which makes them very family-friendly and safe for homes with kids or pets. The colour of these ornaments is so rich and lush- they make a fine accent without the tree or wreath! Simply fill a large crystal, glass, or even plastic bowl with this bounty of ornaments and set in the middle of a dining table or on top of the piano. For some added flair, tuck a few silver beaded picks or berry picks in among the baubles for a chic look.